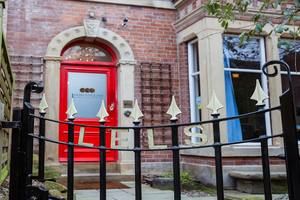 About us Welcome to Leeds English Language School, UK! The original English school in beautiful Leeds, the 3rd largest city and student capital of the UK! We teach English as a foreign language (EFL) to 100-150 adult students at any one time. 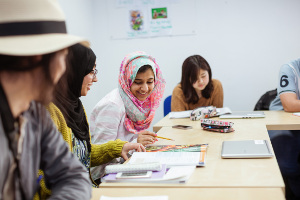 Our students come from all over the world to study English intensively at Leeds English Language School. The majority of your classmates will be from Spain, Italy, France, Saudi Arabia and Kuwait. 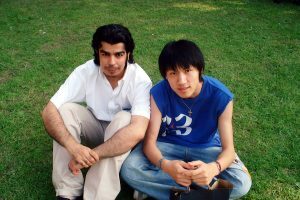 You may also have course mates from China, South Korea, Thailand, Colombia, Brazil, Chile, Germany, Turkey, Poland and Hungary. Leeds English courses have been developed and continuously improved by EFL experts since 2001. They are designed for hardworking students who would like to study intensively in order to improve their English level in a relatively short period of time. 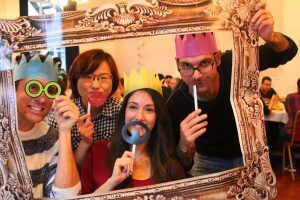 We love working with international students and being part of your new English family. You will probably get to know all of us quite well. We enjoy showing you around Leeds and Yorkshire. Take a look at the videos below! 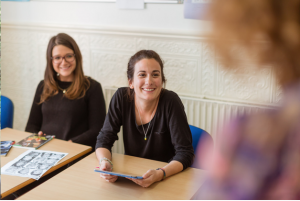 Leeds English Language School becomes the FIRST English language school in the UK to be named a Cambridge University Press Better Learning Partner. This is exciting news for our students who will now benefit from better resources, better online learning and better assessment – all from the writers of the IELTS! To learn more about what this means, you can read all about our Cambridge Connection here. Leeds English gets the best British Council report in Leeds with 7 areas of strength! Leeds English visits South Korea and Brazil. 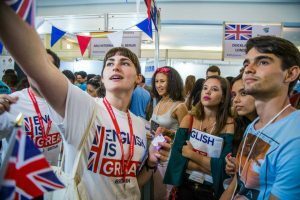 Francine attends an English UK conference in São Paulo- she meets lots of Brazilian students. 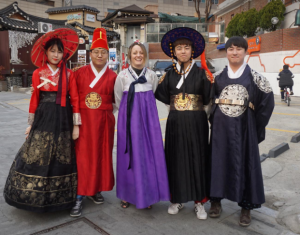 Ione visits our previous South Korean students – Eunhyun Kim and Hyeran You – and some of our best agents. Leeds English is inspected by ISI and scores Grade 1 in all areas. Leeds English score grade 1 in our first ever Independent School Inspectorate (ISI). Bob and Mike visit China! Here they are at the British Council in Ningbo. Mike looks as though he is signing an autograph – like a Leeds English VIP, but he is actually just pointing at Leeds on a map of the UK. 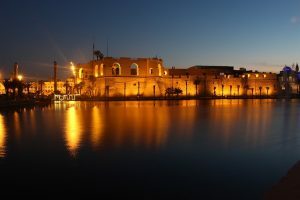 Rachel and Andy explore beautiful Tripoli and teach IELTS at a partner school in Libya. 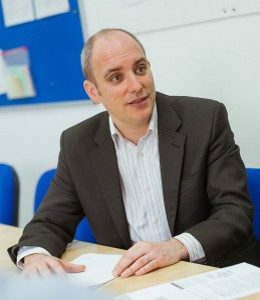 You will see Neil, our Director of Studies, quite often and probably get to know him quite well; he is very involved in helping students academically, supporting teachers, telling jokes and making us all laugh. 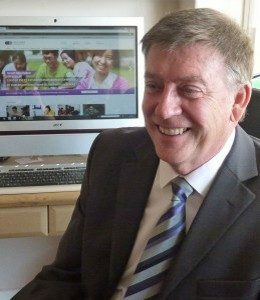 He works very hard to help students reach their potential and spends lots of time developing courses to make sure that Leeds English students are offered the best education that we can possibly deliver. He joins in some of the trips, especially if sport is involved. 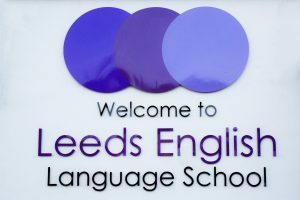 As more and more students apply to study at Leeds English Language School and the school’s reputation continues to spread, we cannot fit all of our students in Victoria Road. Burley is another popular area of Leeds with a big student population. It’s close to the centre (15 minutes on the bus) and within a 20 minutes’ walk to where most of our students live. Leeds English Language School visits Russia! To try and find some Russian students, we check out Moscow and Saint Petersburg to meet some agents and promote the school. Carol’s first day at Leeds English was actually on her birthday! It must have brought good luck, because she has been here ever since. 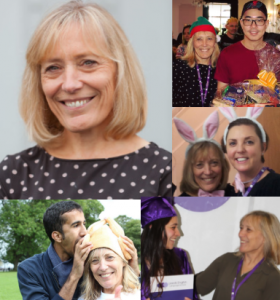 “Mum” or “mummy” to many of the students, the boss of the student support team works very hard to make sure everyone is enjoying their time at the school. You will probably get to know Carol quite well at the school. She sometimes goes on the school trips and is very involved in the day-to-day running of the school. Our first IELTS 8 student! 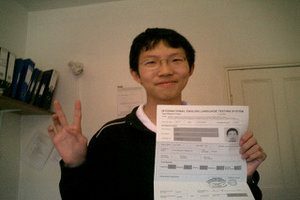 Dominic Wang from China gets an IELTS 8, with a 9 in reading! Unfortunately in 2004, iPhones had not been invented – we are sorry about the quality of Leeds English’s older pictures. 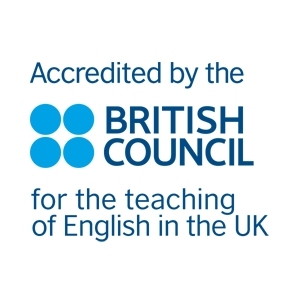 Leeds English Language School becomes accredited by the British Council and joins English UK. 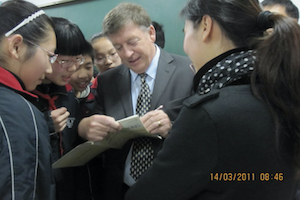 Every few years since, the British Council comes to inspect Leeds English Language School. Our reports keep getting better and better. We get a strength in Care of Students every time! Our first Saudi student joins the Leeds English Family! Meet Khalid, Leeds English Language School’s first ever Saudi. Since Khalid, we have had many fantastic students from Saudi Arabia and continue to be a trusted partner of the embassy who sends us lots of our friendly, hardworking Saudis. Victoria Road opens in the popular Leeds area of Headingley/ Hyde Park – the student neighbourhood of Leeds! Most university students (UK and international) live in this area. With its cheap restaurants, cool clothes shops, stylish coffee houses, pretty parks and of course the University of Leeds and Leeds Beckett University, we thought that “Headingley/Hyde Park” made a more interesting location for our students than Leeds city centre. Victoria Road school is just a 20 minutes’ walk from Carr Mills Student Residence. Leeds English Language School is born! Mike Corbett along with Bob Charlton open the first English school in Leeds with only 3 students. There were no other English schools in Leeds at that time. Bob and Mike had lots of experience working in education/the teaching of English; Bob has worked in EFL for 22 years and Mike has worked in education for 30 years. Both directors are proud of the school and passionate about its continued development. You are likely to meet Bob, who can often be seen laughing and joking with the students. If you see him, ask him why the school is sometimes called “Bob’s School”. He likes to tell that story. To provide students with the best possible opportunity to learn English in the north of England through the provision of excellent teaching and a caring team in a safe and friendly environment. To help individual students fulfil their own personal potential to maximise their success inside and outside of the classroom.